ADHD is one of the most common childhood disorders. 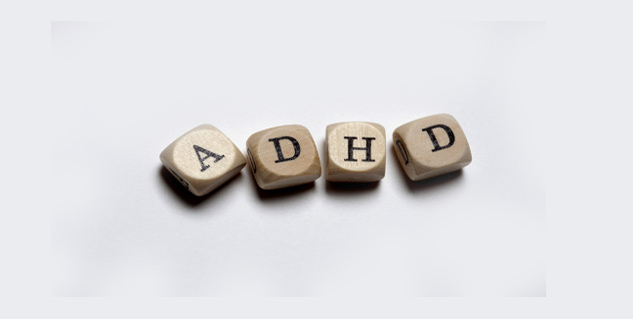 Common symptoms of ADHD are difficulty in maintaining focus and attention. Exact causes of ADHD are still not known. ADHD is one of the most common childhood disorders and its symptoms may persist into adolescence as well as adulthood. It often has an overarching effect on the child’s psychological and social development. The most common symptoms of ADHD are difficulty in maintaining focus and attention, poor ability to control the behavior and hyperactivity. The disorder affects more boys than girls. As far as observable behavior of a child with ADHD is concerned, an external observer is likely to find specific behaviors of inattention, impulsivity and hyperactivity. The child is unable to pay continuous attention to many day-to-day activities that they are required to carry out. They are quite forgetful in daily activities and get easily distracted from one activity to another. Often when adults give them instructions they fail to pay attention to even these. They usually perform poorly in academics. The child is often ‘on the go’ and it may be difficult for them to sit down quietly at a place for a long period of time. At school, the teacher may complain that these children often leave their seat despite repeated admonitions. The child appears restless or extremely energetic and does not get tired easily. They get easily provoked into becoming angry and display fearless and aggressive behavior towards elders, siblings, peers or animals. Due to these symptoms these children often face difficulty in making and maintaining friendships. An observer would also note that these children are extremely impatient. They have an extreme difficulty in postponing their demands and cannot wait for their turn. They often interrupt and intrude on other people and demand that their needs be immediately taken care of. When their demands are not fulfilled immediately they may end up throwing temper tantrums that force the parents to either give in to their demands or punish them. These observable tendencies make parents, teachers, siblings and age mates often hate children with ADHD. At school and home they are likely to be punished harshly as people feel that they are more on the ‘naughty’ side and not follow instructions deliberately. Everyone feels that only strict discipline can cure these children. This further aggravates the problem as hardly anyone takes pain to understand these children. If only we have the patience and the skill we can discover the inner experience of these children. They are neither BAD nor MAD. These children have a biological vulnerability that interacts with psychological and environmental factors to produce this complex condition. All of us learn to experience and control our emotions. For instance we may feel extremely angry with someone and wish to hit them, we experience this emotion and realize that we are angry and acknowledge that we want to do something destructive. However, we don’t act on it but we try to channelize our anger or suppress it. These children have not developed this crucial capacity to be with their feelings and control them. In fact they are extremely scared of strong emotions and rarely feel or express them. Many parents would have noticed that such children run away if made to watch emotional movies but can spend endless hours and get absorbed in video games that are impersonal. Due to this these children may also avoid intense attachments. Deep down these children have an extremely negative view of themselves. They feel that they are slow, bad, mad, undesirable and not worthy of anyone’s affection. They feel that they can never achieve whatever they want and can never fulfill what other people expect from them. A sense of humiliation, shame and helplessness clouds their mind. 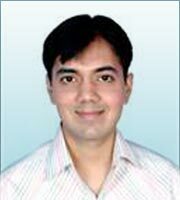 This makes them experience intense pain that they find difficult to handle owing to poor emotional control. They hate what they are and at the same time feel envious of others whom they consider good and desirable. This generates huge anger in their mind and they may wish to destroy anything that is good. Due to an extremely negative view of self and poor emotional modulation, these children cannot handle normal day-to-day stress effectively. In face of such events they may become very rigid, stubborn and demanding. The child cannot tolerate minor changes in surroundings, displays fearfulness and is very clingy. The child is very energetic and destructive, often throws away objects, breaks objects and hits people. They cannot tolerate even the brief absence of primary caregiver. The primary caregiver finds it very difficult to make contact with the child and soothe them when they are distressed. Some children continue to suffer from ADHD as adults. They feel disorganized and unable to commit to one job or course of action. They experience difficulties in forming or maintaining interpersonal relationships. Many people give an impaired performance at work. Exact causes of ADHD are still not known. ADHD results from an interaction of unfavorable biological and psychosocial factors. Research evidence suggests that genetic factors seem to play a role as ADHD often runs in families. Abnormalities have been found in frontal lobe region and corpus callosum. Lead poisoning in childhood has also been associated with ADHD. Psychosocial factors such as family discord, faulty parenting and separation at an early age seem to be connected with ADHD. The first step to treatment is letting go of the negative and harsh attitudes that the child is naughty, bad or mad. The treatment approach should combine parental counseling, psychotherapy and medication for child and behavioral interventions. ADHD is usually a condition that requires intensive treatment otherwise it spoils the childhood and consequently the adult life. Parents need to understand their own feelings and thoughts about the child, they also need to be sensitive to the inner world of the child and develop skills to effectively relate to the child. Their own despair and anger at having such a child needs to be addressed and worked through. Children with ADHD need warmth and support of their parents to realize their potential. Because these children have a poor self-concept the parents must discover and encourage the areas and behaviors that the child has a potential to excel in. They need to acknowledge the good points in the child’s behavior and reinforce these. Apart from this, as far as child’s undesirable behaviors are concerned the entire family must follow consistent disciplinarian techniques. For instance, at times the either of the parents tend to give in to the child’s demands when they throw a temper tantrum and this encourages the child to behave wild. CNS stimulants and antidepressants are the medications that are used in the treatment of ADHD. These medications have a calming effect on the mind of the child and they reduce overactivity, impulsivity and enhance the ability to maintain the focus while doing various activities. These medications need to be taken under the supervision of a medical practitioner as there may be side effects such as difficulty in falling of to sleep, reduced appetite, anxiety and moodiness that need to be constantly monitored.It is important to know that these medications do not cure the child but that they only lower down the symptoms till the time they are taken. Once they are stopped completely there is a great likelihood that symptoms will come back. Also, these medications have an effect on reducing some of the undesirable behaviors in the child such as overactivity and over reactivity but they do not usually promote desirable behaviors. Therefore it is extremely important to combine psychological treatments such as psychotherapy, behavior therapy and parental counseling along with the medication. In treating any child suffering from ADHD, it is also extremely important to understand and reflect back their feelings, to build a capacity so that they become comfortable in experiencing and handling their emotions and to change the extremely negative view of the self. Psychotherapy can be started when medication has brought some control in the disruptive behavior of the child. Specific behavior therapy techniques such as social skills training, positive reinforcement, negative reinforcement, shaping, token economy and time-out are used to promote desirable and effective behaviors and reduce the undesirable behaviors. In the long-run the child learns to monitor, control their behavior and respond effectively in interpersonal situations.